Antonio – just read your blog – CONGRATULATIONS on having your own restaurant. You must tell me where it is and how it is doing!!!! Things are going here as usual – I am looking for a night cook again – are you interested!!!!!!!! My wife has indicated that she’d like as a birthday present, a replacement for the Pat’s Cafe coffee mug she accidently dropped and broke recently. It was a mug that we bought upon a trip to San Fran where we happened by Pat’s Cafe and had a wonderful breakfast and chat with the staff. Are you setup to sell and ship this item? Just read your request for a replacement mug. Yes I can mail youjone – the only thing is the postage is fairly expensive – let me know if you are still interested. the black and white mug is 6.95 plus tax – the red white & blue and the big tea cups are 7.95 each – let me know if you are still interested. I am sorry for the late response – this computer “stuff” is a real challenge for me. Help! 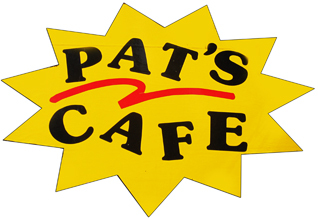 Once again my wife dropped her ‘Pat’s Cafe’ mug. Can we order another b&w one? 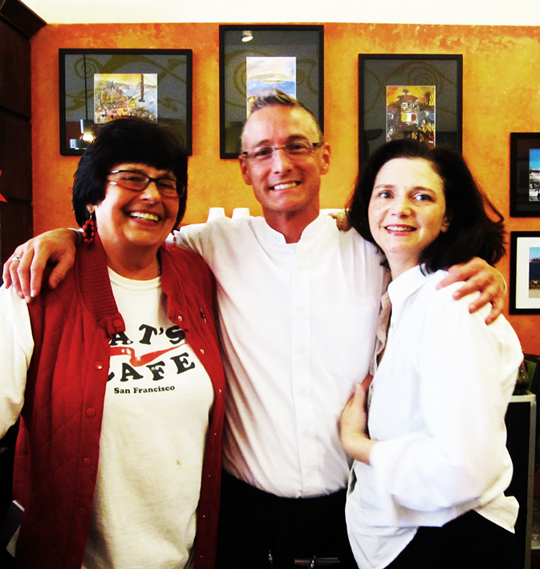 Pat’s Cafe was my Sailors first stop for Fleet Week and you were all very wonderful to him. It made him feel great and proud. Thank you!